Being part of the events business is one of the most rewarding professions in the world! You get to be part of hundreds of meaningful events and meet all types of people. But this doesn’t happen from one day to the next! 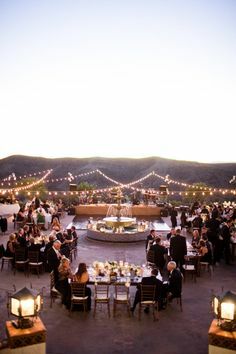 You have to start somewhere, and just behind purchasing the space or building your venue is knowing how many guests you can sit and which venue layout works best for each event. 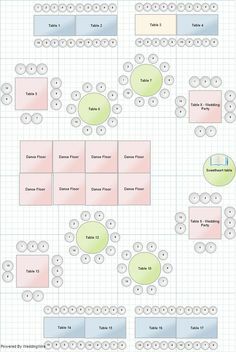 In this article, we’ll help you calculate the amount of people you can fit in your venue as well as how many chairs and tables you’ll need. 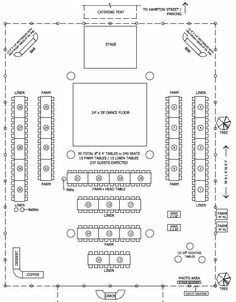 We’ll also give you some tips on how to find the best venue layout! So let’s get started. 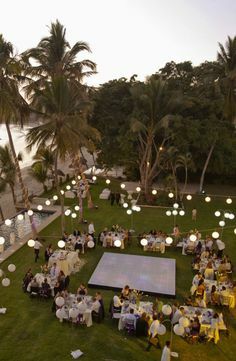 How many guests can I fit in my venue? The first step is to calculate how many square feet you need per person to find how many guests you can host in your space. Some webpages recommend anything from 13 to 15 square feet per guest for a sit down dinner. 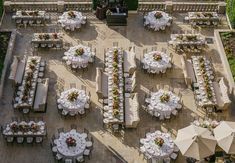 However, when researching the sizes of venues and how they relate to the capacity for guests they advertise, we found out that most of them calculate about 20 to 25 square feet per guest. This means that a 2,500 ft2 venue will advertise a seating capacity of between 100 and 125 guests. This isn’t because they can’t fit more guests comfortably! 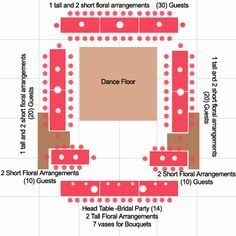 Most venues do this to be able to accommodate a dance floor, cake tables, gift tables, and other extras that brides and grooms will want to place in the space. And, if the client asks for it, they can always come to an agreement and make room for more guests. How many chairs should you buy? You might think that once you have your venue’s capacity sorted out you just need to buy as many chairs and be done with it. But, there are plenty of other things to consider! Like we said before, your venue will probably be able to fit more people than advertised, so you should make sure you get more chairs. We recommend 20% more chairs than the amount of guests you think you’ll have. This leaves extra seating for last minute guests as well as vendors. Remember to get some extra tables and leave space for the buffet! The most used table size is the 60”round banquet table which seats 8 people. It can seat up to 10 but this is quite uncomfortable, most planners recommend going a size up in tables to seat 10. 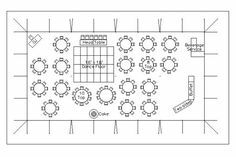 So, for a venue that is 2,500 ft2 and can seat about 100 guests you should contemplate a total of 13 tables, plus extra for cake stands and vendor meals. We recommend getting about 20% more tables as well, so about 16 of these round tables for 100 guests. A 60″ round table fits 8 seats comfortably. Now that you know how many tables and chairs you need, it’s time to determine how to set them up in your space! 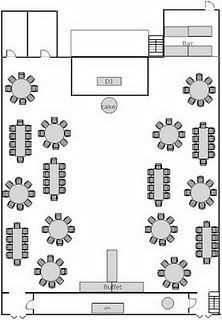 This really depends on the dimensions of your banquet room. So, here are some tips and ideas that could be very useful! Remember to leave enough room between tables. About 6-7 feet is enough for guests to move around comfortably without bumping into chairs or having to ask other guests to move. Seating less than six people at a 60” round table makes it look too big and empty. Keep a couple of smaller tables to be used as stands for the seating cards, guest favors, or even the sweetheart table. 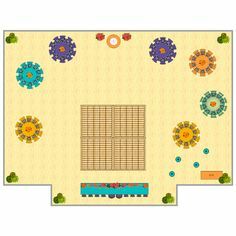 Figure out a couple of good spots for the sweetheart table, the dancefloor and the bar, then arrange the rest of the room with those in mind. Have more than one setup plan so that your customers get to choose the one they like the most. 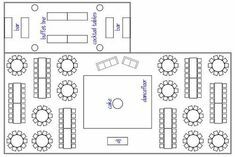 Include a layout for both banquet style and buffet events. Find an area that will work for cocktails (outdoors is best) and make a small plan for it too. Use tall tables and designate a space for the bar. The cocktail area in the back is defined by taller tables like these. Once you have all these things figured out, give your layouts a try! Place your tables and chairs out in different configurations and walk around the space. This will help you visualize everything and decide whether a layout is functional or not. Remember to accommodate for different scenarios, from a large dancefloor to multiple bars, you never know what a customer will want! 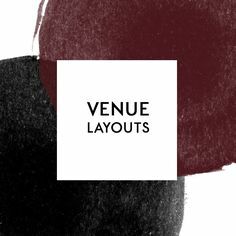 Here’s a pinterest board we made with a bunch of venue layout ideas! Check out our other articles for venue owners and don’t forget to follow us on twitter and facebook for more specialized content!